The 2014 Revolution of Dignity and subsequent Russian military intervention have raised Ukraine’s global profile to unprecedented levels, but the country remains trapped in a negative news cycle dominated by talk of war and corruption. In a bid to change the conversation, a group of investment and tech sector professionals came together in 2016 with a plan to present an altogether more engaging Ukrainian narrative at the World Economic Forum in Davos. Andrey Kolodyuk talks us through the development of the Ukraine House concept and explains why it was so important to present the best of the new Ukraine to the global elite as they gathered in the Swiss Alps this January. Two years ago, Ukraine found itself practically excluded from the official program of the World Economic Forum in Davos. It seemed clear at the time that the world had become tired of hearing about Ukraine’s confusing hybrid war and the country’s chronic corruption problems. I recognized then that Ukraine needed a more authentic voice at Davos and decided to act. Together with my colleagues at the Ukrainian Venture Capital and Private Equity Association (UVCA), we began work on what would eventually become Ukraine House. By the time of the 2017 World Economic Forum, we had yet to convince enough people of the need for a major Ukrainian presence. Initial support came from the Western NIS Enterprise Fund and Ciklum along with the Victor Pinchuk Foundation and the National Reforms Council. 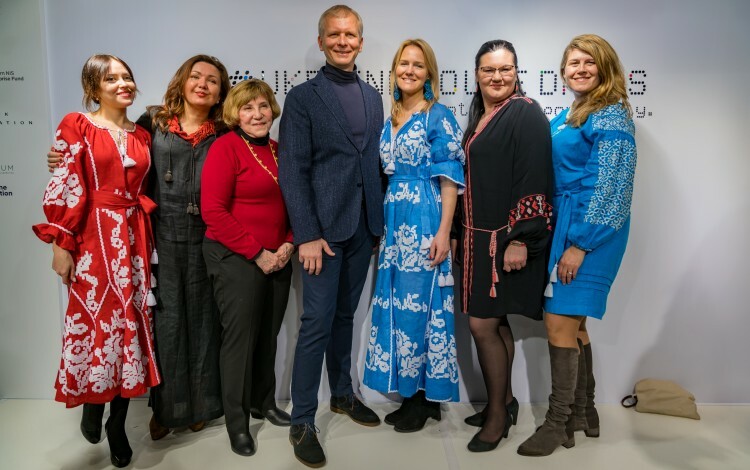 This was not enough for a fully-fledged Ukraine House presence, but it did allow us to host two events under the branding “Ukraine Davos Nights”. We focused on inviting investors and technology entrepreneurs from around the world and achieved a modicum of success, attracting over 400 guests. This experience was to serve as the prototype for the future Ukraine House, giving us a feel for the specifics of Davos and convincing us that the concept was worth pursuing further. We set our sights on unveiling the inaugural Ukraine House at the 2018 Forum. From Day One, everyone involved in the Ukraine House initiative agreed not to ask for any government help, which we knew could drown the project in bureaucratic procedures and other barriers. Instead, we would rely on our own resources and the financial support of our sponsors. The second key challenge was to set out our goals. It was noticeable that the more Ukraine’s political leaders spoke about the conflict with Russia and other problems in the country, the more difficult it became to attract international investment to Ukraine. We identified our key task as challenging this dominant geopolitical narrative and presenting Ukraine in a far more pragmatic and practical manner. We wanted to tell the world about Ukraine as an investment opportunity and as a global technology partner. Our experience in Davos in 2017 had convinced us that there was significant untapped interest in the technology sector and considerable potential appetite for Ukrainian opportunities. We spent many exciting and inspirational months developing our agenda. I remember travelling to Lviv by intercity train with Olga Afanasyeva (UVCA Director) and Marina Vyshegorodskikh (Ciklum) and discussing the Ukraine House agenda for five hours without pausing for breath. We reached a consensus that we must seek to address global themes from a Ukrainian perspective rather making Ukraine itself the subject. As the team took shape, I eventually found myself as the only male on the organizing committee alongside Olga and Marina from my Lviv train journey, Lenna Koszarny (Horizon Capital), Jaroslawa Z. Johnson (WNISEF) and Svitlana Grytsenko (Victor Pinchuk Foundation). Alexa Chopivskaya then joined us as director of Ukraine House. The whole team understood that our program had to appeal to a broad spectrum. By its very nature, Davos is a competition for the attention of world leaders. It is a battle for speakers, for knowledge, and for guests. In order to stay relevant and avoid becoming stuck in a narrow niche, we focused on a program covering the most interesting and contemporary topics in the tech world such as blockchain technology, crypto currency, agrotech and energy, while also positioning Kyiv as a high tech hub. We eventually managed to gather speakers from 10 countries and invite about 5000 guests including global politicians, entrepreneurs, investors and journalists. During our time in Davos in 2017, we had taken a shine to the Timberland store with its transparent walls and handy location in the heart of the city, right on the main promenade. However, the premises had never been available for rent during the World Economic Forum before. Our contacts assured us it was simply not a possibility. By refusing to take no for an answer and instead mobilizing our own networks of contacts, we managed to secure the location as our Ukraine House site for the 2018 Forum. What we did not know at the time was that by positioning ourselves in this location, we would be establishing the inaugural Ukraine House directly opposite Russia House. Many naturally assumed this was a deliberate and somewhat confrontational step on Ukraine’s part. In reality, it came as a complete surprise. The previous year, Russia’s representation had been located some 70 meters further along the road. This close proximity could have been awkward, but it actually helped to generate significant attention and drum up additional media interest. In the first few days of the Forum, Ukraine House received coverage in the New York Times, Bloomberg and a host of other international media outlets. It also helped to draw in crowds of visitors. They say that more world leaders gathered at the Davos Forum this year than at the last G20 Summit. Unsurprisingly, many observers regard the Forum as the place where the political and economic agendas for the coming year are set. However, political heavyweights do not generally come to the Swiss Alps to talk to each other. For most, the priority is to engage with the business world. This suited us perfectly and gave us a chance to alter the optics surrounding Ukraine. Our task was straightforward if challenging – we had one week to move the debate around Ukraine away from the fruitless subjects of war and corruption by presenting the country as an attractive and innovative economic opportunity. With this in mind, we focused the Ukraine House agenda on hot business topics like blockchain technologies and crypto currencies. This was a strategic decision as both of these themes are major world trends where Ukraine already enjoys a growing reputation as a frontline nation. Just one week before the start of the 2018 World Economic forum, a Citibank study placed Ukraine among the world’s top five countries for bitcoin business development. Crucially, we did not ask for money. Instead, we invited investors to consider becoming partners in Ukrainian technology projects or opening development centers in Ukraine. This partnership approach kept people coming back to Ukraine House throughout the week, including those looking for more substantive meetings to discuss the details of potential cooperation. During our event with Ukrainian President Petro Poroshenko, fellow panel member Sir Suma Chakrabarti, who serves as president of the European Bank of Reconstruction of Development, noted that Ukraine was among the bank’s top three priorities. This was encouraging, as was the interest we registered from Indian, Asian and Middle Eastern investors. Many were surprised to learn that Ukraine had risen 75 places in the World Bank’s “Ease of Doing Business” ranking over the past five years, and expressed an interest in visiting Ukraine in order to take a closer look at the opportunities for themselves. Our experience in Davos was eye opening in many ways. 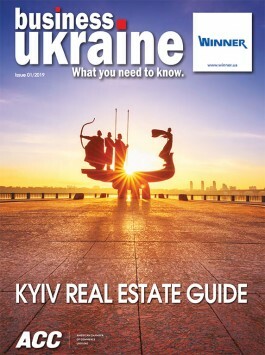 It produce hundreds of potentially exciting business connections that could go on to prove significant for the development of the Ukrainian economy. Perhaps even more importantly, the reactions we encountered confirmed that it is possible to rebrand Ukraine as a nation defined in terms of creativity, innovation and opportunity. By bringing together many of the brightest minds and most original thinkers from Ukraine’s IT, investment and high tech industries, we were able to shift the debate away from the geopolitical grandstanding and post-Soviet stereotypes that have long obscured the exciting realities of independent Ukraine. The challenge now is to build on this progress. Work is already underway on what will be the fourth Ukraine Discovery tour, while the interest generated at Davos has convinced us of the need to organize a special tour to Ukraine focusing specifically on blockchain technologies and crypto currencies. Plans are also underway to host a conference for potential Asian investors on 12 October in Ukraine’s Black Sea port city Odesa. Our experience in Davos highlighted the need to communicate a broader strategic vision outlining Ukraine’s future direction. The Ukrainian government has not yet been able to come up with an economic roadmap that would indicate where the country is going, nor has it been able to give investors a clear idea of what they can expect from Ukraine in the medium to long term. This needs to change. Private sector initiatives like Ukraine House are effective communications tools, but they cannot attract the volumes of international investment that Ukraine requires and warrants. This will only prove possible when potential investors can count on a business climate corresponding to accepted international practice and a coherent vision for the years ahead. Despite these strategic shortcomings at the governmental level, the Ukraine House initiative in Davos was able to create an important new platform for direct dialogue between the Ukrainian and international business communities. It demonstrated that through the combined efforts of various private sector stakeholders, it is possible to raise Ukraine’s profile and present an appealing picture of the country that is relevant to outside audiences. I now hope to continue this process by creating a Ukrainian Davos Club to help develop public relations efforts both domestically and on the world stage. This Davos Club can play an important role maintaining dialogue and momentum during the annual lull between one World Economic Forum and the next. In this way, the ethos of Ukraine House can continue to contribute to the wider process of changing international attitudes towards our country and building new global alliances. This year’s Ukraine House premiere at Davos was a landmark event, but it was only the beginning of a much longer journey.